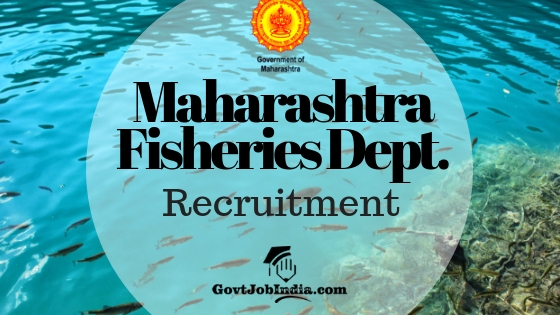 महाराष्ट्र मत्स्य विभाग भर्ती– The Maharashtra Fisheries Department is calling out for applications for Maharashtra Fisheries Group C Bharti in their latest Assistant Fisheries Development Officer, Group C (Technical) [सहाय्यक मत्स्यव्यवसाय विकास अधिकारी,गट क (तांत्रिक)] recruitment notification. This recruitment is to be conducted in the state of Maharashtra, particularly in the city of Mumbai. All those interested candidates can go through this page and apply online for the Maharashtra Fisheries Dept. Recruitment as soon as possible. The last date to apply online for this recruitment is the 21st of January 2019. Please note that no applications will be considered eligible after the end date. 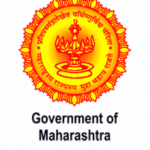 This recruitment came up in the Maharashtra Mega Bharti which was for around 72000 vacancies in the various departments of the state government. If you wish to check out other opportunities which have been presented by the state govt for this mega recruitment, go to the page Maharashtra Mega Bharti 2019. So, without further ado, let us move onto the details of the 79 posts of Assistant Fisheries Development Officer, Group C and their various requirements. BFSc (Bachelor of Fisheries Science) with 2nd Division from a recognized university. There will be a probation period of 2 years after the first posting. Selected Candidates in this Maharashtra Fisheries Department Jobs, will get the pay scale of the Rs.9300-34800 (GP Rs.4200) per month. The various requirements necessary for a tension free application for the Maha Fisheries Department Recruitment are given below. Candidates will find the PDF which enlists all the steps to apply for this recruitment linked at the bottom of this section. Applicants First name, Middle name, Last name, Fathers name, Mothers name, Date of Birth, current active mobile number, photograph, signature are the basic requiremnts which you need to enter onto your online application form. Adhaar card is also a must for recruitment. How to Apply Online for Maharashtra Fisheries Dept. Recruitment 2019? Or go to the link which is provided below. We will now go step by step for the form filling. Fill in the essential details listed above. For the part- “educational qualification”, you will have to enter your educational details like graduation place and marks obtained, maximum marks, year of passing, University name etc. Your percentage will be calculated by the system. In professional qualification, you will have to enter your educational details for Diploma, degree or masters details. Submit your documents which are asked. Now make an online payment in order to go through the registration. Click on the submit option which will be there at the bottom of the screen. For further references, make sure that you keep a copy of your form. All those candidates who wish to apply online for the Maharashtra Matsya Vibhag Recruitment should click on the link given above. If you are eligible and haven’t applied yet, make sure to apply online before the last date runs out. The Maharashtra Fisheries Dept. will conduct the exam for recruitment in a few months. So, ensure that you don’t miss out this chance by going through the syllabus and all the other pages dedicated to this recruitment. In case you are uncertain about any of the details we mentioned here, make sure to comment below and we will clarify it as soon as possible. In conclusion, subscribe to our website @ GovtJobIndia.com by entering your email address and you will be notified about the latest recruitment which spans the country.